US President Donald Trump has boasted that his policies will produce sustained 3-4% growth for many years to come. His prediction flies in the face of the judgment of many professional forecasters, including those on Wall Street and at the Federal Reserve, who expect that the US will be lucky to achieve even 2% growth. But is there any chance that Trump might be right? And if he is, to what extent will his policies be responsible, and will faster growth entail grave long-term costs to the environment and income inequality? The stock market may care only about the growth rate, but most Americans should be very concerned about how growth is achieved. Trump’s forecast for the United States’ overall economic-growth rate is hardly wild-eyed. A steady stream of economic data suggests that the annual rate has now accelerated to 2.5%, roughly splitting the difference between Trump and the experts. Moreover, employment gains have been robust during the first six months of Trump’s presidency, with more than a million jobs created, and stocks are soaring to new highs, both of which are fueling higher consumption. Given this performance, getting to 3% annual growth would hardly be a miracle. And achieving Trump’s target would be even more likely if his administration suddenly became more coherent (which could indeed require a miracle). Of course, growth this year is in many ways a continuation of that achieved during Barack Obama’s presidency. Altering the course of a giant ship – in this case, the US economy – takes a long time, and even if Trump ever does manage to get some of his economic agenda through the US Congress, the growth effects are not likely to be felt until well into 2018. To be sure, Trump has eviscerated the Environmental Protection Agency (which has helped coal mining), softened financial oversight (great for bank stocks), and has shown little interest in anti-trust enforcement (a welcome development for tech monopolies like Amazon and Google). But his main policy initiatives for corporate tax reform and infrastructure spending remain on the drawing board. 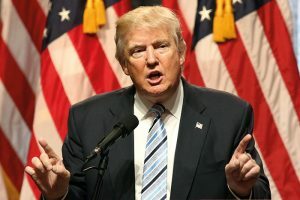 Moreover, Trump’s plans to increase protectionism and sharply reduce immigration, if realised, would both have significant adverse effects on growth (though, to be fair, the proposal to have the composition of immigration more closely match the economy’s needs is what most countries, including Canada and Australia, already do). Perhaps the single most important decision Trump will make on the economy will be his choice of who should replace Janet Yellen as chair of the Federal Reserve Board. In other appointments, Trump has preferred generals and businesspeople to technocrats. By and large, the most successful bankers in recent years have been exactly the types of experts Trump seems to avoid. Whoever Trump appoints is likely to face major challenges immediately. Subdued wage growth in the face of a tightening labour market is unlikely to continue, and any big rise in wages will put strong upward pressure on prices (though this might not happen anytime soon, given the relentless downward pressure on wages coming from automation and globalisation). How the Fed handles an eventual transition to higher wage growth will be critical. If policymakers raise interest rates too briskly, the result will be recession. If they raise rates too slowly, inflation could become uncomfortably high and ingrained. So, yes, Trump just might get his growth number, especially if he finds a way to normalise economic policymaking (which is highly uncertain for a president who seems to prefer tweet storms to patient policy analysis). But even if the US hits the 3% target, it might not be the panacea the Trump hopes it will be. For starters, faster growth is unlikely to reverse the current trend toward inequality, and a few small, targeted presidential interventions into the actions of specific states or companies are hardly going to change that. On the contrary, there is no reason to presume that owners of capital will not continue to be the main beneficiaries. Eventually, that trend could reverse, but I wouldn’t bet on it happening just yet. If environmental degradation and rising inequality make economic growth such a mixed blessing, is the US government wrong to focus on it so much? Not entirely. Higher growth rates are particularly good for smaller businesses and startups, which in turn are a major contributor to economic mobility. Recent low growth rates have made potential entrepreneurs far more reluctant to move across states or to change jobs, and have reduced economic mobility in general. And if the US economy were to weaken substantially for a prolonged period, it could bring forward considerably the day when the US no longer has significant military superiority over its rivals.